A crossover invasion event of global proportions! Pinky and the Brain VS Keroro Gunso – The Earth’s biggest Crisis? Seeing the grand success of the wildly popular Demashitaa! Powerpuff Girls Z anime, which was kind of ported over/mostly inspired by the American Powerpuff Girls cartoon, and the Akahori Gedo Hour Love-ge (Zettai Seigi VS Gedou Otome Tai) on 2.5chan and in a certain Asian country (Singapore), WB decided to invite the director of the Zettai VS Gedou anime, Matsui Hitoyuki, to direct a special one hour “Crossover Invasion Event – Global Proportion’s!” in which the members of Keroro Gunso would pit their “supreme intelligence” against the “masterful schemes” of Pinky and the Brain, who has desires to take over the world. 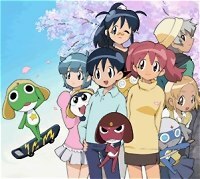 Keroro Gunso, with its even greater ambition as of late, will attempt to educate Brain about aiming for a bigger dream – taking over the universe. The date for this one hour special has not been set, but rumor has it that it’ll probably air around March of 2008. Our sources also indicate that Banzai may produce a series of special one time only Gundam kits inspired by this crosover event. Information is still to come. 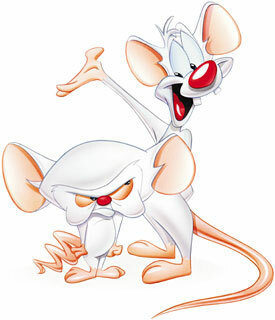 Pinky and the Brain… Now that brings back memories. This would be a most interesting watch indeed….